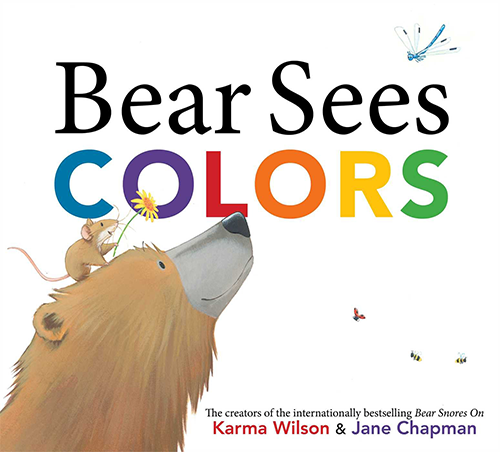 Karma Wilson's playful text and Jane Chapman's adorable illustrations creatively introduce colors to the youngest Bear fans, who will delight in discovering a rainbow of fun. 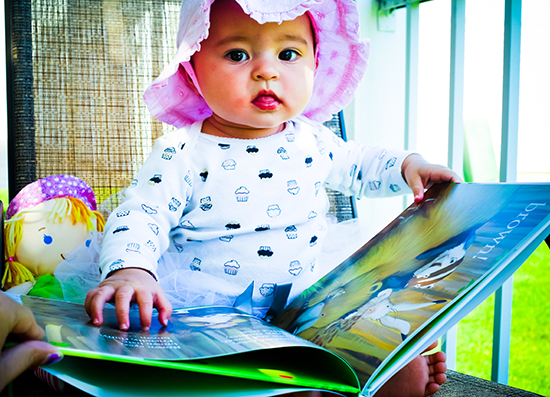 A delightful, vibrant book that will help introduce your child to the concept of colors. 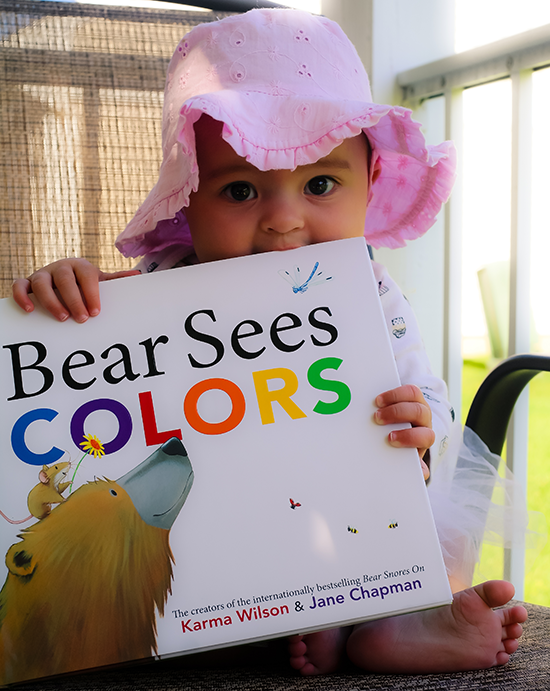 Bear sees blue, red, yellow, green and brown. Every other page is white - it's when bear meets friends along the way and is about to see a color. Between those white, toned-down pages are pages that are literally bursting with color. 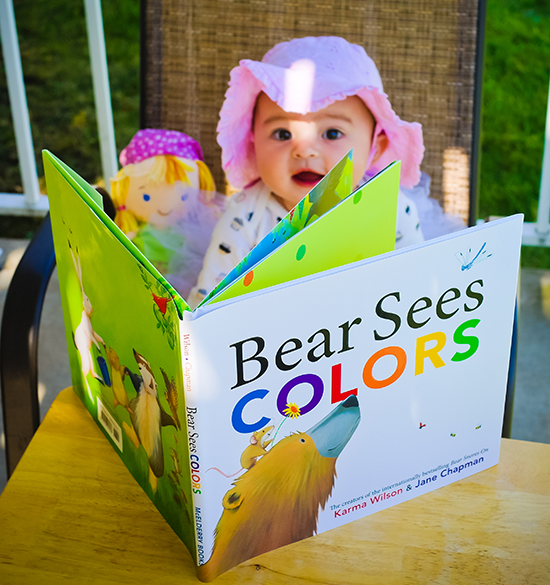 Bear Sees Colors is beautifully illustrated and filled with color-coordinated elements (blue sky, water, fish and blueberries and red ladybugs, watering can, strawberries, etc). And in addition to the gorgeous, detailed illustrations, we have Wilson's clever and fun rhymes, that will invite your child to play along and guess what color bear will see next! 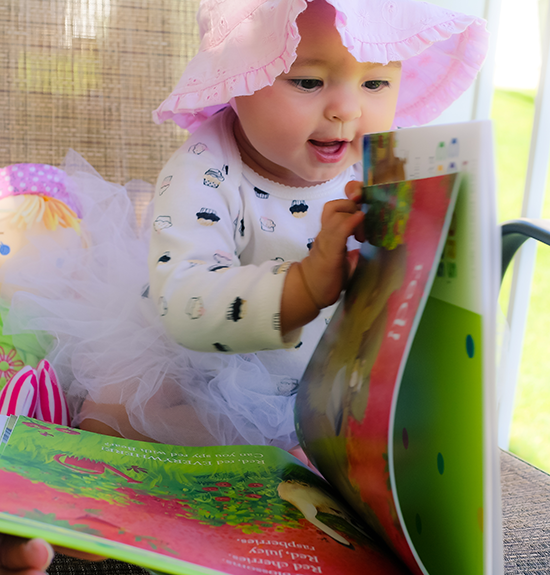 This picture book makes for an exciting and entertaining read, filled with anticipation. The guessing game is very fun, and so is trying to find all the elements in the color that is the theme of the page. And what a great way to teach your child about the basic colors! This is the first in Wilson's new series of books about Bear and I can't wait for the next one to come out. I will definitely be buying them all. Bear is such a wonderful, loveable character, Both my daughter and I can't wait to meet him again!